Throughout San Diego, green-fingered gardeners approach the last few months of the year with an air of excitement and enthusiasm. After all, October, November, and December are the perfect time here for planting a host of incredible fruits and vegetables, including peas, parsley, beets, broccoli, carrots, kale, and more. Unfortunately, if you want to make the most of your home-grown produce, you’ll need to learn what steps to take to stop unwanted critters from tasting your turnips and ravishing your radishes. One thing you can always count on in a vegetable garden is that uninvited guests will come along and poach your harvest. Everything from moles and gophers to aphids and slugs could destroy months of hard work in moments. With that in mind, here are a few tips that could keep those creatures at bay. Start by removing any nesting or hiding areas like tall grass and brush piles. Keep on top of your harvest to minimize access to food sources, and clean up birdseed to discourage squirrels. It’s a good idea to keep your household trash far from your garden, too, so that raccoons and other foraging animals don’t start lurking. You may want to read up on the pests you see — the more you know about the scents, tastes, and environments that attract your unwanted guests, the more you can do to keep them away. When animals and insects are hungry enough, they’ll eat almost anything, so it’s difficult to choose a plant that definitely won’t be targeted by wildlife. However, you can choose crops that are more likely to withstand teeth and claws. Stick to sturdy plants where you can, and make sure that you stay on top of their maintenance by checking the leaves for signs of damage and removing any dead plant matter that could appeal to bugs and critters. Garden care services, such as those offered by Adios Pest Control, can be particularly helpful, as we can remove weeds and prune your garden on your behalf. This means that you’ll have someone who knows more than just how to pick weeds. As a professional pest control company, we understand what it takes to keep unwanted guests away. Getting up at the crack of dawn to feed thirsty plants might not seem ideal if you aren’t a morning person. However, if possible, it’s usually best to water in the morning rather than the afternoon. Doing this provides a range of advantages. For instance, first, your plants are more hydrated before the midday sun rises, which means that they’re less likely to wilt. 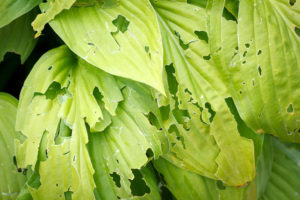 Additionally, the leaves of your plants will dry off before the evening rolls around and pests start to appear, looking for moist places to nest. Although watering might not banish mammals, it could reduce your exposure to slugs, earwigs, and snails in particular. While many homeowners today prefer to stick to chemical-free solutions as a way of removing pests from the garden, sometimes you need to break out the big guns. Commercial repellents can be particularly useful at getting rid of unwanted critters that could be not only damaging your crops, but burrowing their way into your home and crawl spaces, too. Alternatively, if you want to stick to natural solutions, you can try solutions like garlic clips and castor oil. However, remember that these substances can wear off quite quickly, so they’ll need to be re-applied regularly to remain effective. There are plenty of pests out there that you’ll want to keep out of your garden, but some creatures can also be necessary to maintaining a healthy crop. After all, not every critter out there wants to destroy your harvest. Some carnivores could reduce the population of your most unwanted visitors faster than any pesticide spray on the market. For instance, the ladybug nymph eats aphids from dawn until dusk. The good news is that you can remove pests and attract beneficial insects at the same time. An easy way to keep everything in balance is to allow some herbs, lettuce, and other plants to flower while you’re growing the rest of your plants. Of course, if a pest problem gets particularly bad, you can always turn to the experts at Adios Pest Control for help. We can remove creatures from your home and garden without destroying your produce! Get in touch with us today to learn more.